Speaking at the Royal United Services Institute think tank on Monday in London, Williamson said that the 65,000-tonne Queen Elizabeth airline, which was commissioned in late 2017, would also be operating in the Mediterranean and the Middle East along the United States a global power with a truly global interest … we must be prepared to compete for our interests and values ​​far from home, "Williamson said. 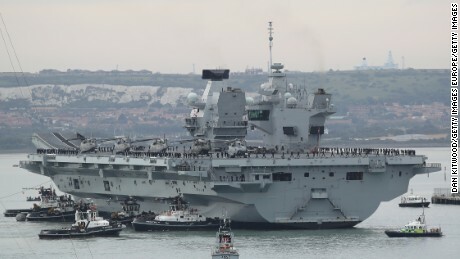 The Carrier, Britain's largest and most powerful warship, will carry its contingent of state-of-the-art F-35 stealth fighter jets and US Marine Corps F-35 aircraft as they venture into a region known as "China." Williamson added. The US and UK combined air wing aboard the airline will "improve the range and lethality of our armed forces," while "underscoring the fact that the United States remains our very own." Closest Affiliate, "he said. 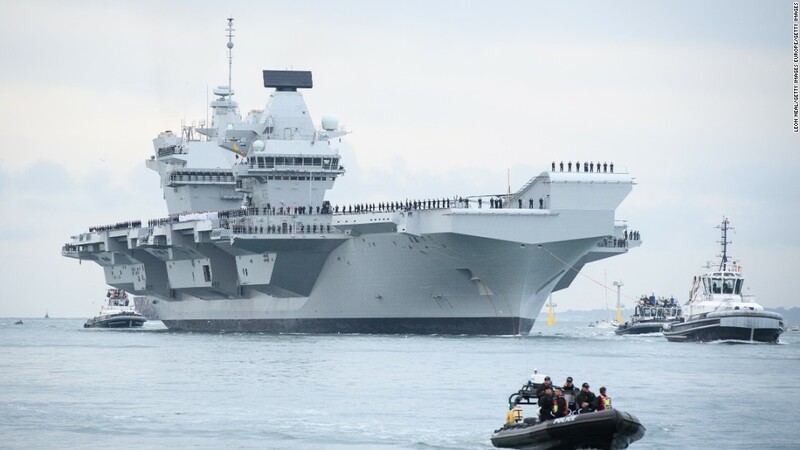 The Secretary of Defense did not specify a date for deployment, but the Queen Elizabeth is scheduled to be operational by 2020. Williamson said Britain will consider constantly setting up new bases in the Asia-Pacific and Caribbean regions to reaffirm its position worldwide from an interview with the Sunday Telegraph late last year. "For us, global engagement is not a reflex reaction to leaving the European Union. It's about a permanent presence, "he said. Last month, British and US warships conducted coordinated drilling across the South China Sea for six days. Williamson's speech came on the day the US Navy sent two warships to another Chinese-claimed islands of the Spratly chain sent by to challenge Beijing's attitude. The US A, Beijing have been accused of installing missiles and other military hardware on the disputed islands, contrary to the promises of President Xi Jinping and against international dispositions on the status of the islands. Williamson said Monday that Britain must be ready to "protest against those who violate international law" along with allies and "support the global system of rules and standards upon which our security and prosperity depend." He Also denounced British military technology and said new warships, planes, rockets and drones were being developed that would make it "a lethal battle." Force fully adapted to the demands of 21st-century warfare. New features included "swarm squadrons of networkable drones capable of confusing and overpowering the enemy's air defense," added Williamson.